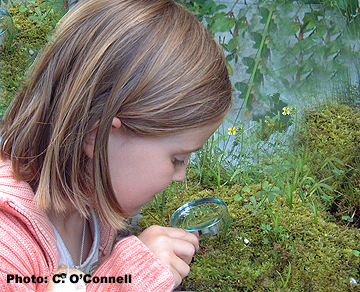 Throughout the year, the IPCC run day and week long nature camps for kids aged between 7 and 13 years at the Bog of Allen Nature Centre. The camps are fully supervised by experienced tutors. 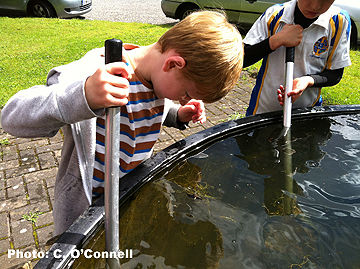 Let your child connect with nature and experience the great outdoors by engaging in activities such as pond dipping, nature crafts, frog hunts, woodland creepy crawlie searches, story telling outside, picnics and much more. Please link to our events page to get the exact date for the annual Camps for children listed below and to read about other children’s events at the Bog of Allen Nature Centre. We advise parents to ensure children bring raincoats and wellington boots or outdoor runners for our Go Wild Camps. There is a short break each day during the camp so please include a snack pack. Booking is essential. Please contact the Environmental Education Officer on Telephone 045-860133 if you wish to participate in a Go Wild Camp and to obtain further details.